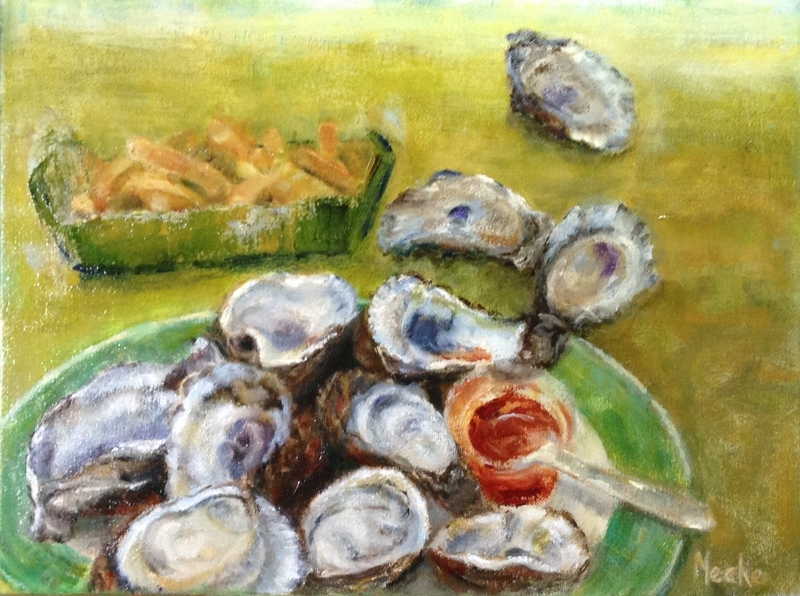 Oysters, Oil Painting on Canvass, "One Dozen With Fries", 12x16, by Mercedes Franklin, For Sale $840. Going out to eat oysters with people is always a great time. Good friends, good food, good conversation. I chose these colors to represent "enjoyable encounters". I hope you feel the same. This painting was featured in the "Beaches of South Walton & Scenic 30A" magazine 2015 Vol. 12.